Though blockchain and cryptocurrency adoption have gone mainstream, we often face losses of funds, hacks and privacy issues. We see that many platforms are emerging to attempt an eternal solution on such platforms but they still lack to resolve them completely. Reports suggest following are the major issues Crypto masses are stumbled upon! Miners can understand this issue in person. According to the survey, mining requires around 47 terawatt-hours on yearly basis. Basically, from which half power comes from China using coal power plants. It takes around 44 million tons of carbon dioxide yearly just in case of Bitcoin and Ethereum. There are so many cryptocurrencies that need mining. So, starts the battle. Not following KYC/AML regulations, etc. This core issue makes it impossible to trace out the actual identity behind the crimes of theft. The data analysis states that around 1,300 tradable cryptocurrencies operate continuously. Various tokens associated with Simple Agreement for Future Tokens sell out tokens with not use results in a major issue. Well, these issues must be resolved with intense research and profound knowledge. However, while we were researching the trusted platform that can solve these issues intensely, we caught up a result-oriented platform called WON. World Open Network or (WON) is a network that is open to the world of technologies and influencers. How WON endeavors above setbacks? All the open blockchain on WON is pre-mined. This company gives you access to the large pool just after ensure the KYC/AML policy requirements. Users can instantly use Ŵ on WON right away via applications. To offer security to developers and users, WON provides KYC compliance service. WON allows registered users to interact and transact safely. In case of discouraging speculation, WON ensures that the value of Ŵ (The cryptocurrency token commodity of WON INC) and DCs (Developer Cryptos) will be dependent solely on the value of products and services of WOB. They offer compliance mechanism associating every jurisdiction where they operate. Compulsory KYC/AML Protocols stand them out of the crowd. How is WON Influencing the ICO Market? What Makes WON Different? Back in 2016, ICOs investments spiked around $95 million captivating 43 projects. However, in 2017, we have seen 210 ICO projects that raised around $3.88 billion escorting a huge upsurge. These projects have shown their influence supporting ICOs for the sector of financing high-tech startups. Currently, in 2018, the overall volume associating ICO projects tends to decrease by 80% in comparison to the previous study release. However, there were many fluctuations regarding tokens, coins in the current market that eventually shows their effects. Let’s see what 2019 brings for cryptocurrency, ICOs and blockchain to revolutionize this crypto space. WON is trying to ease the efforts of blockchain developers and raise their market by offering basic core services that majority of user needs while enchanting their markets. Leveraging the opportunity, developers specializing in game sector can distribute the game crypto coin via WON platform. They have a chance to purchase game items together with redemption option for retrieved coin. Players engaging the platform can buy crypto game coins, at some point, they can even withdraw specific game coins and exchange to WON coin. Only requirement says players should perform the KYC procedure for safety purpose. The amount of coins player purchases is recorded backend on chain. It works as demand and supply chain. At any time, if demand of games boosts, the demand and supply relationship rapidly changes. Moreover, the game crypto coins do not support the concept of ICO. W coin will be seen as a medium from developer’s perspective of crypto coin; clients can use w coin to purchase developer coin also. Note: Game developers are denoted as TPD (Third Party Developer) and their coin are denoted as DC (Developer Coin). One essential function: We allow players trading in the crypto game to decide whether to use this function or not. The various strategies ongoing by the WON team members are lifting the projects’ value and compliance with the upcoming market. WON is a multi-level service provider which seamlessly offer wide range of flexibility mentioned below. WON is looking ahead to add more services in future with aspects and functionalities. In future, WON is planning to develop major user-friendly features, however, as of now, they are focusing to explore and expand their game crypto coin, familiar as Genesis. So, that people can access the platform with ease and comfort. WON encourage the players to trade in game and make money as much as they wish to with legacy and entertainment together. As, today players earn while playing blockchain games and enjoy every day with joy. Let’s join with WON and make some good difference to the world of blockchain! It is a Proof-of-Authority blockchain network creates the Ŵ (cryptocurrency token commodity at WON INC). 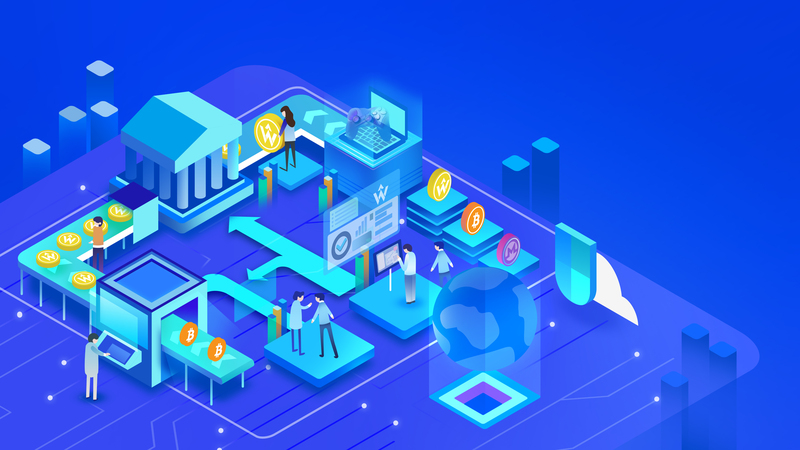 It is one section in which WOB-based cryptocurrencies are available for end-users and third-party developers to engage with. This service is available in over 100 countries, thus making WON an advanced trading platform. WON supports API trading together with market maker fee schedule. The platform has its own wallet that is accessible globally compatible with Android and iOS. The company is registered as World Open Network, Inc.